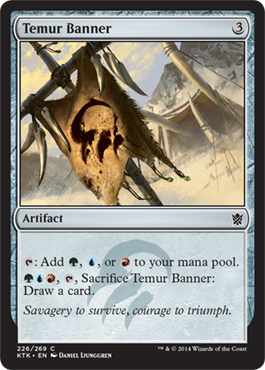 Anyway, let's visit the Temur so that you're ready at midnight tonight! 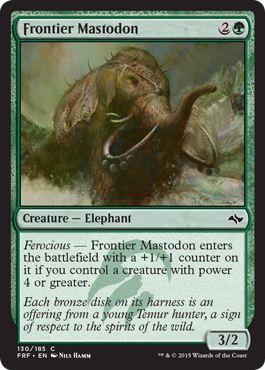 So, the Temur are all about savagery. 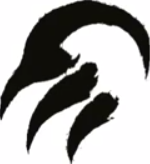 When your symbol is a dragon claw, you're about attacking and damage, which is the opposite of the Abzan and their scale symbol and "toughness matters" theme. 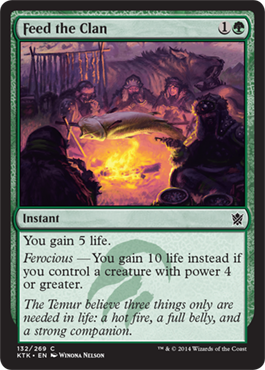 The Temur are all about "power matters." 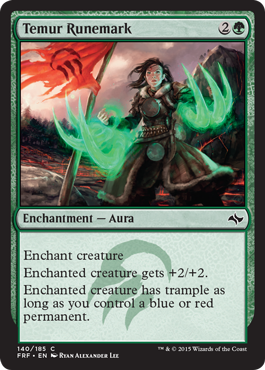 Jeskai Runemark will trigger on your having a red creature, but +2/+2 is also pretty good by itself. Flying is something you'll need since red and green don't normally have that. 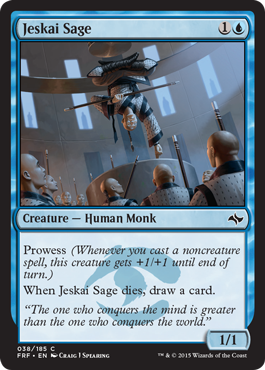 Jeskai Sage is pretty much an early creature that you won't really worry if it dies because you'll gain a card. 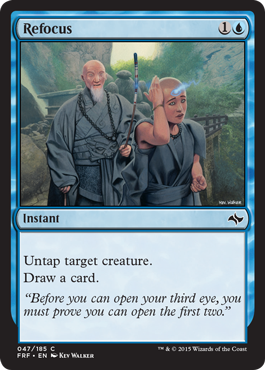 Refocus is pretty much just card draw. 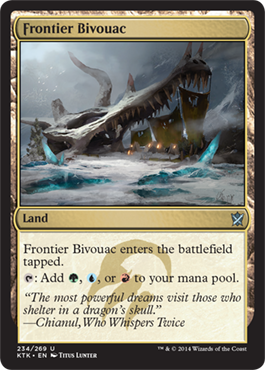 And maybe defending yourself with your biggest creature couldn't hurt during an opponent's turn. 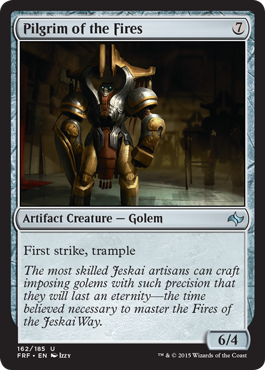 Burn, but at the added benefit of drawing a card when you sacrifice Jeskai Sage. Combo! 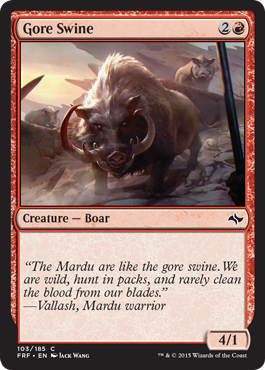 I'm not much for vanilla creatures, especially when most of the ones in this set are big creatures at an even bigger mana cost, three mana for Gore Swine works in your favor. Yes it dies easily, but it triggers Ferocious with power of 4. There. Ferocious. And double strike. 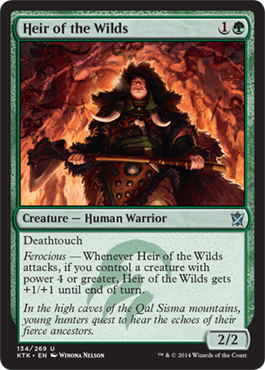 Definitely a good card for Temur. 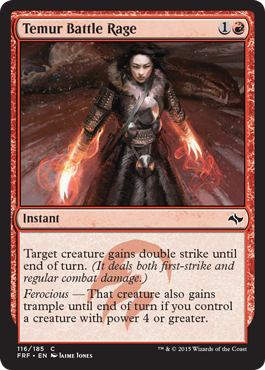 Double strike and trample triggered with Ferocious. 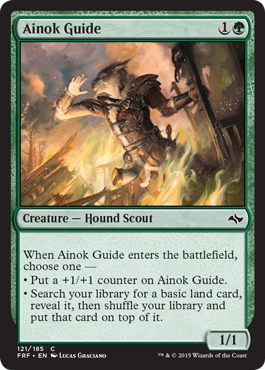 Ainok Guide helps with mana fixing or just is a 2/2. 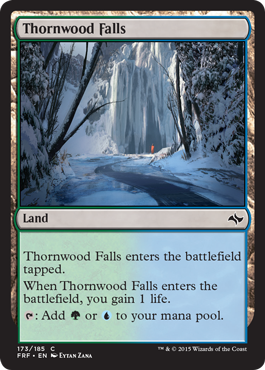 Okay, so it's not that great, but mana fixing in Limited is important. 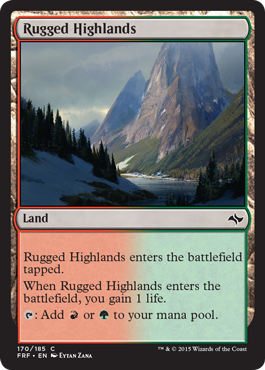 Map the Wastes is purely for mana fixing. Like I said, there won't be much available in the flying department. Return to the Earth should help with that. Temur Runemark. 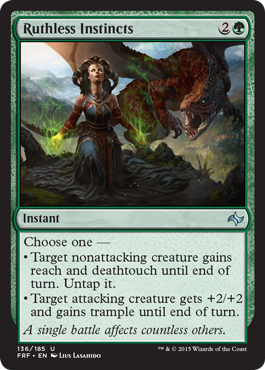 Trample and boosts a creature. 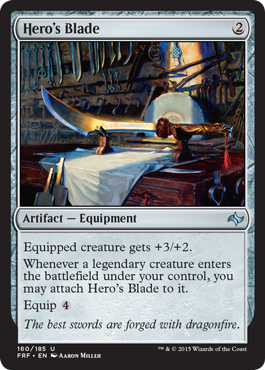 Definitely a great card in Limited play. 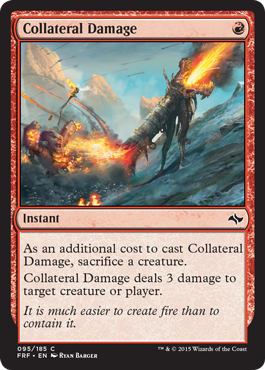 Destroy a creature, hurt your opponent, and draw a card. Can't get much better than this. Once again, I don't care much for Manifest. 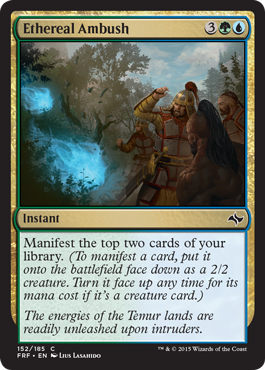 With Temur running more creatures, it's probably more worth it, but I really don't plan on using Manifest during any prerelease I play in... Maybe my perception of it will change, but as a proto-Morph, I don't see it catching on. 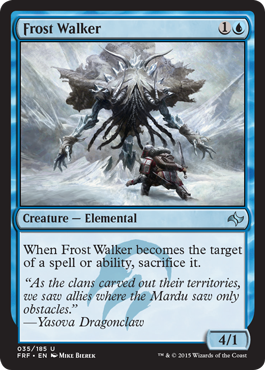 Frost Walker is pretty much just a Ferocious trigger early in the game. 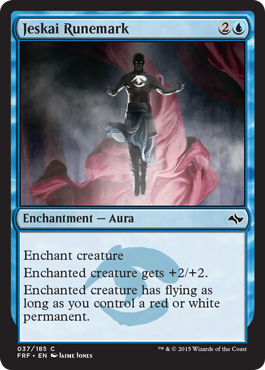 Mistfire Adept will give creatures flying, something hard to come by in your other two colors. A 4/4 with flash if you have a blue or green creature is good. Back when Avacyn Restored was Standard legal, a popular play was to flash in Restoration Angel (a 3/4 with flying) to block a creature. 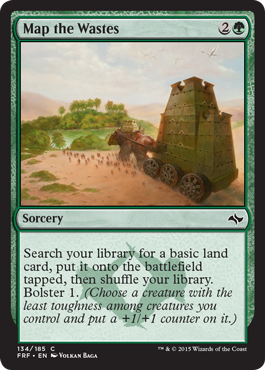 This is a good card to have for Limited. Shock, but with a Skullcrack-esque ability. Having burn available is good. 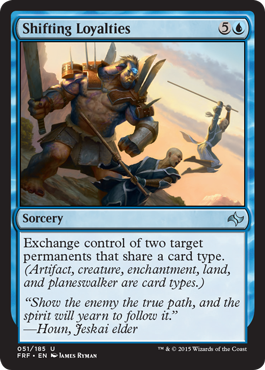 Reach and deathtouch or +2/+2 and trample. Definitely a great spell to have in reserve. 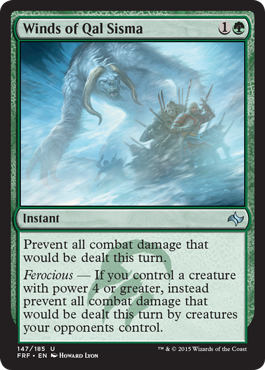 Fog, but also able to instead just prevent damage by your opponent's creatures. Good, good. It's sort of like stealing, but you're making your own and removing the original from the battlefield. Seems pretty good. 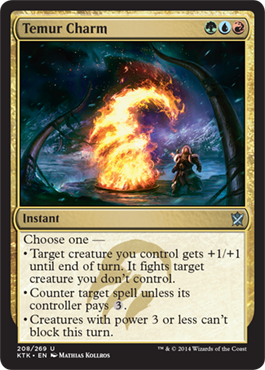 Arcbond is a powerful revenge spell. 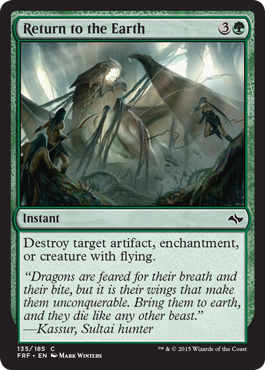 Block a bigger creature, and then you can kill off everything and hopefully take out your opponent. 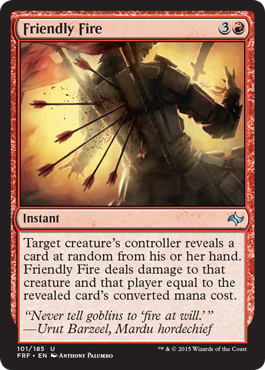 It's a double edged sword, but you're doing this on your opponent's turn. 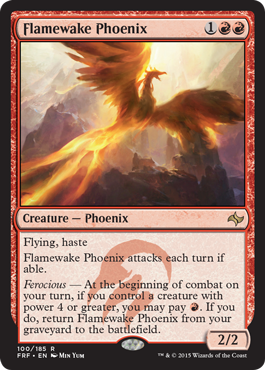 The recurring phoenix. 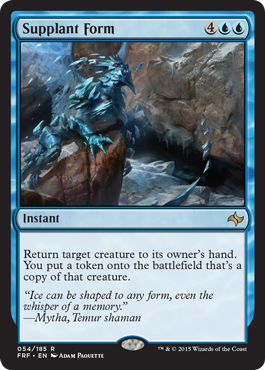 Very flavorful in returning from the graveyard... 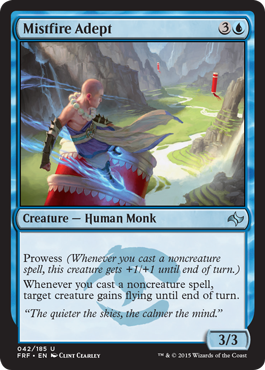 Flying and haste as a 2/2 for three mana is pretty good. 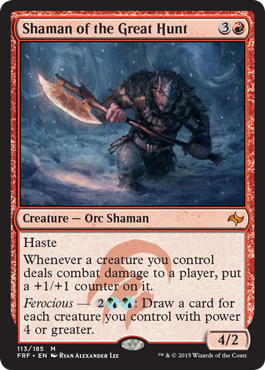 It triggers Ferocious and it adds +1/+1 counters to creatures. 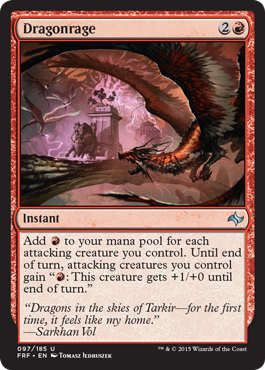 It gets even better too with card draw for creatures with power greater than four. 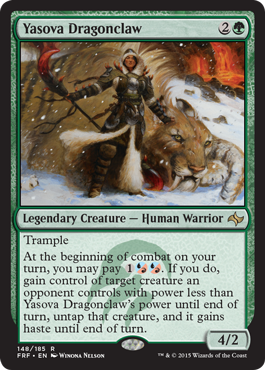 Temur's dragon, Atarka may not have haste, but having trample and double strike when it attacks is a major bonus. Embodiment of Spring is pretty much just mana fixing. 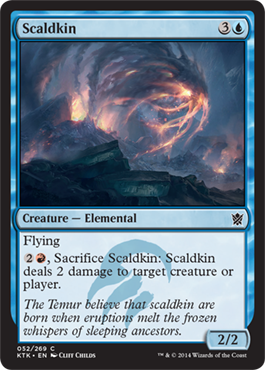 Scaldskin is extra flying, but is also good for chump blocking and then sacrificing to deal two damage. 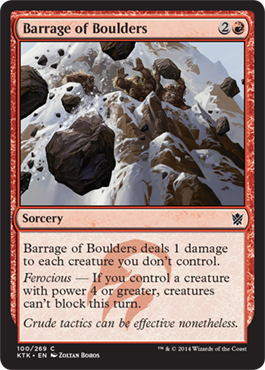 Barrage of Boulders will help get through a field of opposing creatures by forcing them to not block through a Ferocious trigger. 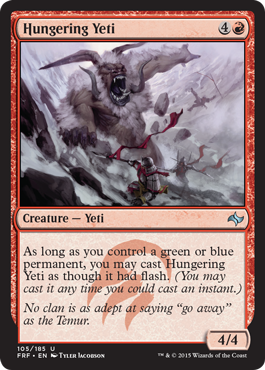 Feed the clan is the lifegain you don't have because white and black are not Temur colors. 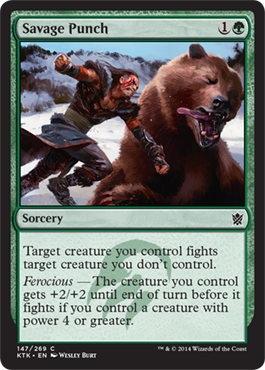 And the art many people love and PETA hates... Obviously you want a Ferocious trigger, but you could also take out a pesky creature. 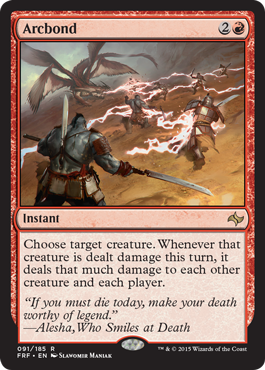 Remember, when a creature fights another creature, deathtouch should be taken into account because they each deal damage, so don't accidentally fight a deathtouch creature. Obligatory charm and mana fixing. 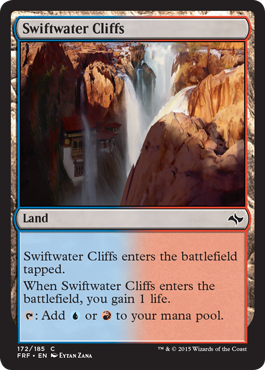 Thank you for joining me this week, and I wish you luck at your upcoming prereleases. Let me know which clan you plan to choose in the comments below!